We’re excited to announce our partnership with Sistemi & Automazione (S&A) – a leading Italian systems integrator. Since 1996, S&A have led high-profile projects across Europe’s private and public sectors. The team specialize in investigation and analysis products for the security and intelligence markets, powering effective risk management and decision-making processes. Over the years, they’ve gained an enviable reputation for innovation, pioneering real-world applications of link analysis. KeyLines has already been deployed in a number of S&A’s front-line security projects. These include an enterprise wide visualization tool for an Italian law enforcement agency and a number of data analysis projects for national security organizations. Alongside custom solutions, S&A is in the process of integrating KeyLines into their range of network analysis tools for law enforcement, security, telecoms, financial services and industry. These include Polaris, a tool for federating and exploring disparate datasets, and Tetras, their flagship communications analysis platform. Their team will also deliver KeyLines training, consulting and integration products to the Italian market, combining their expertise and experience with our technologies. S&A’s Polaris platform, used for financial analysis, supplier compliance, fraud detection, criminal forensic investigation, reputation management and more. Sistemi & Automazione is a leading Italian supplier of data and intelligence analysis tools to the public and private sectors. 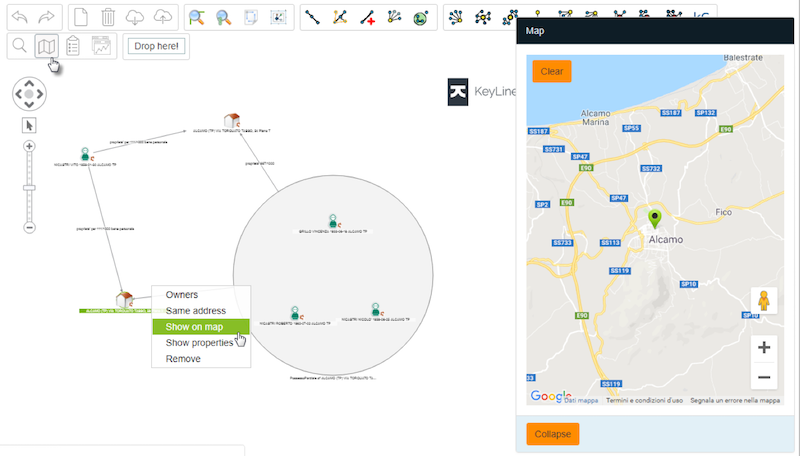 Since 1996, they have built custom link analysis technologies for customers including the Italian government and police forces, the US Navy and Vodafone. Learn more.